Sri Sringeri Sharadha Peetham has a free ebook to download here. In that book, the following statement is made by the then Shakaracharya, H.H Abhinava Vidyatheertha Mahaswami. In the page 556 of the book (page 557 of the file), the section named "The Hypocrisy of pseudo-advaitins". One should be true to one’s conscience. One may deceive others by high-sounding talk on Advaita but it will not be of any use if one does not mend one’s ways. It is said, “He who is attached to worldly comforts but still says that everything is Brahman is actually one who has fallen from Karma and also from Brahman. Such a person must be discarded like a lowly one. Given that he made the statement, Who are the pseudo-advaitins the acharya is talking about? 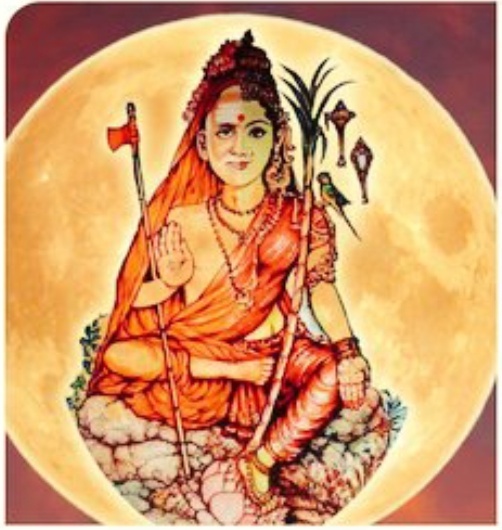 What are the characteristics that of a real advaitin according to Adi Shankaracharya? Thanks to Rickross and Partha for their answers. You are not wrong. But this question is significant even in Advaita circles and deserves a level of detail which neither have covered. Advaita, during the course of time, has been morphed in to a confused, hodge podge of philosophical diversions. This statement basically buries all the new age movements who claim to show oneness through myriad of meditations or the ones which claim to give diksha through sexual experiences or the ones that say “oh you don’t have to follow any rules”, “you are God, you just don’t know it”. None of them are grounded in siddhanta but only in money and toxic fame. So, one who does not practice yama-niyamas and shirks worship of Saguna Brahman, as identified by Shankaracharya, is certainly a pseudo-advaitin. I came across a rather curious site here. Though I am not entirely comfortable with the whole site, it does a pretty good job of explaining what is pseudo-advaita. I will summarize it. Engaging in sophistry, in trying to glean meanings from scriptures on their own or from questionable sources. Preaching to others about duality and nonduality when it is very clear that they themselves haven’t renounced anything in this world. There are a few things to be elaborated from the above. Generally, advaitins nowadays have strong personal preferences on ishta devata. Technically, it should be fine, seeing how they should see everything as (theoretically) just the same. But without actually realizing oneness, denigrating another’s preference of ishta devata, even when that choice is soundly grounded in vedantic conclusions, as sectarian and intolerant is a sure sign of a pseudo-advaitin. Then comes the confused, unconscious hypocrisy of vociferously stating all devas are equal, and in the same breath claiming superiority for a particular devata. That all devatas are equal itself is not a position held by Adi-Shankara as seen in his Gita Bhasya (Ref 1, 2) and other works of his. So, this basically reiterates what several scholars, that I have heard, hold as a deviation in practice, albeit one that is unavoidable in this age: if one wants to practice advaita truly, the process begins with, not ends with, renouncing this world. A pseudo-advaitin neither renounces the world nor embodies the humility needed to accept their inability to do so. There are some examples for people taking sanyaasa though they were not direct disciples of a Shankaracharya. Here is an example where a staunch follower took up sanyaasa, though not directly from another yati. There are other examples where people take up sanyaasa shortly before passing away, but evidence is mostly anecdotal. It has become a new fad these days to believe that with mere mastery of a few languages esp. Sanskrit, and a few sciences, they can hold themselves to the level of the great acharyas. One shameful example of this phenomenon was the declaration on twitter by one such ‘Arya Acharya' that Lord Rama was not biological son of King Dasaratha. Other instances are happening today with so called followers of advaita going overboard due to influence from other traditions and come up with completely unacceptable and shameful works like the one shown here. On top of this, when faced with facts from Adi-shankara’s own words and works, they resort of word play and grammar to twist the acharya’s words to their convenience. In instances, they even insult Shankaracharya’s teaching, and by extension the acharya himself, while claiming to follow his siddhanta. Unfortunately, a pseudo-advaitin won’t hesitate to brand others as abrahamic, sectarian, hatemonger and what not (that other can even be a fellow advaitin) simply because others disagree with their own concocted views. I will answer the second part of your question - "What are the characteristics that of a real advaitin according to Adi Shankaracharya?" Sri Adi Shankara, at the beginning of his brahmasUtra bhAshya defines pre-requisites for enquiry into brahman. It therefore is requisite that something should be stated subsequent to which the enquiry into Brahman is proposed.--Well, then, we maintain that the antecedent conditions are the discrimination of what is eternal and what is non-eternal; the renunciation of all desire to enjoy the fruit (of one's actions) both here and hereafter; the acquirement of tranquillity, self-restraint, and the other means, and the desire of final release. If these conditions exist, a man may, either before entering on an enquiry into active religious duty or after that, engage in the enquiry into Brahman and come to know it; but not otherwise. Author didn't mean one shouldn't even try to follow Advaitic principles or methods, but he meant if one lacks Advaitic intuition but simply parroting I am Brahman or whatever is of no use. It is mechanical chanting like of any impotent mantra. If one has ever seen, subduing one's own conclusions about the reality, one will understand there is a creative contemplance in contrast of simple parroting, surrendering to which there happens be no-mind although for few minutes. There comes immediate peace and sense of non duality. One who has no Advaitic contemplation - One has to go through other means first going through Karma, Bhakti etc. One who has got Advaitic contemplation - One has to just indwell in the self and increase the time period. The great scholarly mystic Adi Shankara ends his VivekAchudamani with the verses targeting two kind of audience listed above respectively. So, it is clear... pseudo-advaitins are those who lacks Advaitic intuition yet parrot they are Brahman it doesn't mean who doesn't conform to patterns of yam, niyam, devotion, tradition is pseudo-advaitin. Strongly Related - Psychological transformation vs Ontological transformation. He is probably loosely referring to those people who have not realized the nature of Adavita themselves but go about lecturing about the same to others. Such people are fallen from conduct according to him. The Maitreyi Upanishad (2.22) also has a similar verse which calls those persons "Muda" (or fools) who try to describe the nature of Brahman to others without oneself realizing it. Without actually attaining self-realization (anubhutim vinA), one who tries to describe that bliss is a fool (muda). His self-realization is like the enjoyment of that person, who tries to describe the taste of a fruit just upon seeing the reflection of it hanging from the branches of a tree (i.e without actually tasting it). If there is no "Anubhuti" (realization) of Advaita (oneness) in one self, then such a person should not claim himself to be an Advaitin just for showing off. That is the import of his message in my opinion. 12.5 Greater is their trouble whose minds are set on the unmanifested; for the goal; the unmanifested, is very hard for the embodied to reach. 12.4 Subduing their senses, viewing all conditions of life with the same eye, and working for the welfare of all beings, assuredly they come to Me. The path of meditating non-manifest is troublesome, but ultimate they reach the goal. Worshiping manifest form though easier has its own problems, one may get attached to saguna form and miss the goal. 18.37 That which is like poison in the beginning, but comparable to nectar in the end, and which, arises from the purity of one's intellect-that joy is spoken of as born of sattva. 18.38 That which as first is like nectar, because the senses revel in their objects, but in the end acts like poison - that pleasure arises from Passion. From these, we can understand that meditation on unmanifest is higher level since path is troublesome and thus matches sattva characteristics. Poison in beginning & nectar in the end. Thus psuedo advaitins are those who have one or more of the 5 saguna brahmans as their ishta devas. True Advaitins are those who directly take the troublesome path boldly. Not the answer you're looking for? Browse other questions tagged philosophy advaita adi-shankaracharya . What are the teachings of Sri Jiddu Krishnamurti?